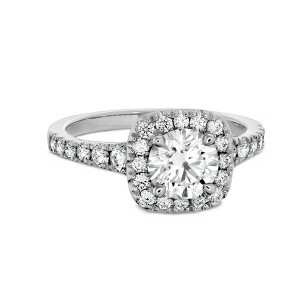 You want to commemorate the moment you ask your true love to for their hand in marriage with the perfect engagement ring. The specialists at Lincroft Village Jewelers can help you narrow down your options and choose an engagement ring that will show your love. A reputable dealer will lead you to the right engagement ring, pairing your diamond with a report or appraisal from the Gemological Institute of America (GIA). Start your search early to give yourself plenty of time to discover different styles and options, and to learn where your budget should lie. Color, cut, clarity, and carat weight compromise the four C’s of diamond buying. The four C’s serve as a universal guideline for assessing the quality of diamonds so you can compare between stores. 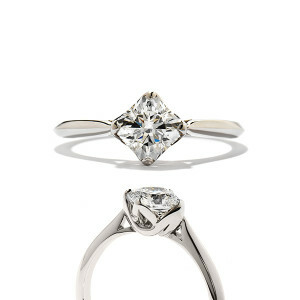 Your budget can determine several of your stylistic leanings, especially the cut and size of the diamond. The cut goes much farther than the shape of your diamond, as the term refers to the symmetry, polish, and proportions of the diamond. From traditional styles to completely custom or themed designs, there are limitless design paths for your engagement ring. The best place to start is with a little spying on your future fiancé. Discover what type of jewelry she wears regularly and ask some friends or family members. Common ring settings include both gold and platinum. These metals are known for longevity and durability and create a lasting symbol of your bond. If your future wife has a job that requires her to use her hands often, this must also be taken into consideration. 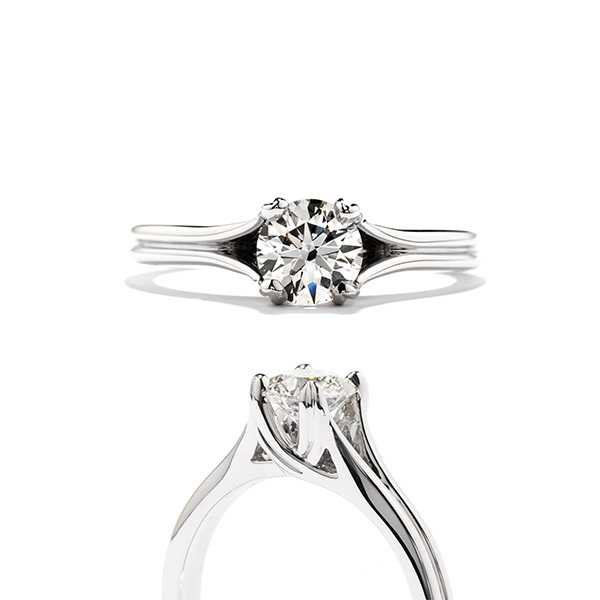 A solitaire is a classic option that provides a single stone setting with a simple band. Side accent stones can also be added to a solitaire setting for a bit more sparkle. Three stone rings are also popular, as they represent a couple’s past, present, and future. 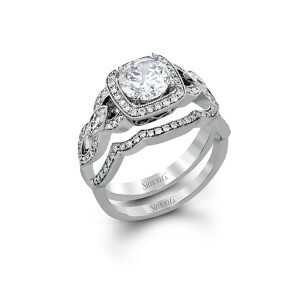 Many couples find that purchasing a bridal set is an excellent option. 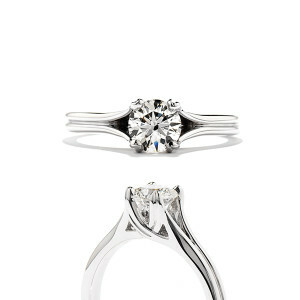 These sets provide the engagement ring coupled with the wedding band. The two pieces are separate, but they fit together nicely. Whether you buy a loose diamond or bring in a diamond of your own, our in-house jeweler can work with you to create a truly personal custom setting that will be cherished for years to come. This option gives you unlimited opportunities to craft a piece that uniquely matches the taste and style of your special someone. 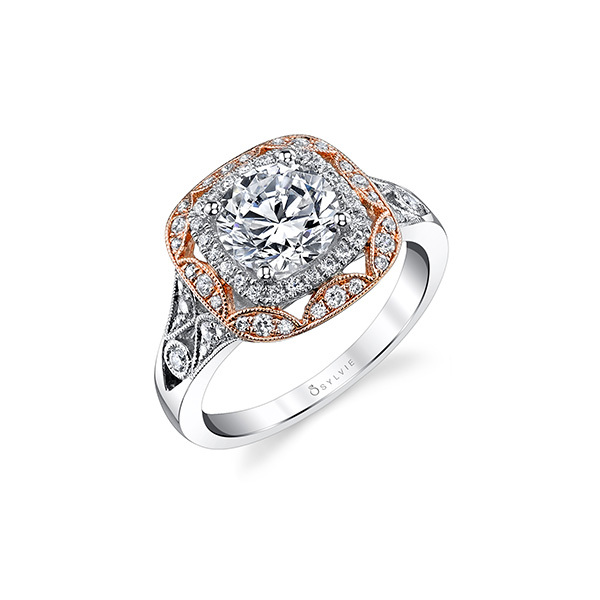 If you’ve met that special someone and want to show your commitment with an engagement ring, finding one that’s exactly right can be a challenge. We are well-established jewelers that stock an exceptional range of engagement rings that are suitable for a wide range of tastes. Each one has been beautifully crafted from precious metals and skillfully inset with precious stones. As well as a stunning range of pre-made rings, we can also provide custom design options if required. Whether you want to opt for a traditional design, perhaps with a diamond or two, or want something more contemporary, we’ve got a style that will suit you. We stock collections from leading designers, including Simon G, Pandora and Hearts on Fire. Our rings, which are suitable for both men and women, ensure that no matter what your requirements may be, we can meet them. With years of experience behind us, our skilled team has the knowledge and expertise to always add value to your purchasing experience. We can advise on the type of engagement ring that may suit you best, as well as offer information on what to look for when it comes to making sure you get the best diamonds or other precious stones. No matter what your budget may be, we will be delighted to do our utmost to find you pieces you love. Many of our tempting pieces are on display online, but to buy you will need to call us or visit us at our Lincroft, NJ, premises. Our aim is to make every ring buying experience an exceptional one, which is why we give every customer the time and attention they deserve when making this important purchase. To find out more about our products or to discuss your engagement ring requirements with us, call (732) 842-7001. Contact Lincroft Village Jewelers today to begin the process or learn more about any of the options listed above.